The Peninsula Hong Kong has unveiled the first phase of its room enhancement program with the opening of the totally refurbished and technologically advanced Peninsula Tower rooms. The HK$450 million project, that will see all 300 of the hotel’s guestrooms and suites transformed by the end of March 2013, the enhancement program began in January 2012 and sees each room and suite with a modernised look. The new look Peninsula Hong Kong following its recent refurbishment. Upgraded in-room technology includes fully customised interactive digital bedside and desk tablets. Guests can control all in-room functions including, mood lighting, air conditioning, curtain control, over 80 TV and 460 international radio stations, noise cancelling earphones, valet call, weather, and privacy options at a convenient finger touch. Guests are able to enjoy complimentary high speed wired or wireless internet access and long distance VOIP calls in-room at no charge as well as when travelling in the hotel’s Rolls-Royce fleet. The guestrooms in the original building will be transformed and unveiled by April 2013, to usher in the Peninsula Hong Kong’s 85th anniversary celebrations. 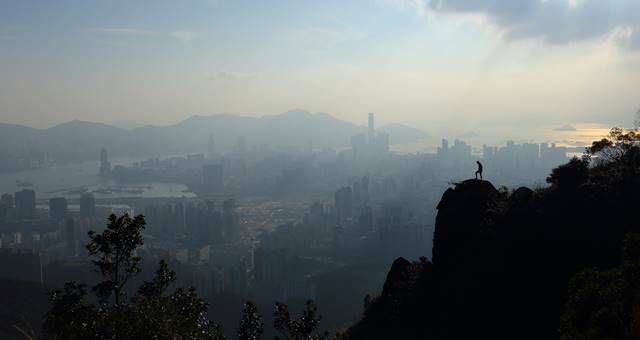 Bet you didn't know that you could go hiking in Hong Kong?